This pretty home in London has some really great elements. 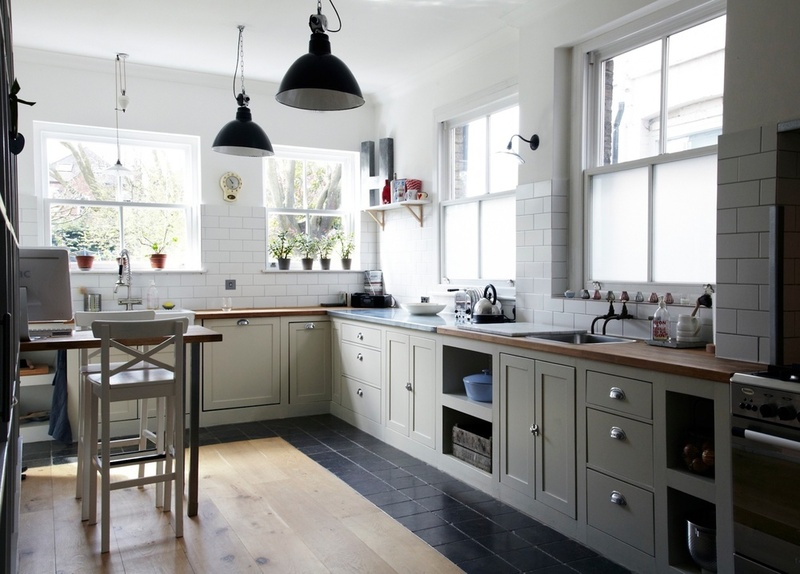 I especially like the kitchen....great lights, a mix of wood and tile on the floor and really cool built in shelving! 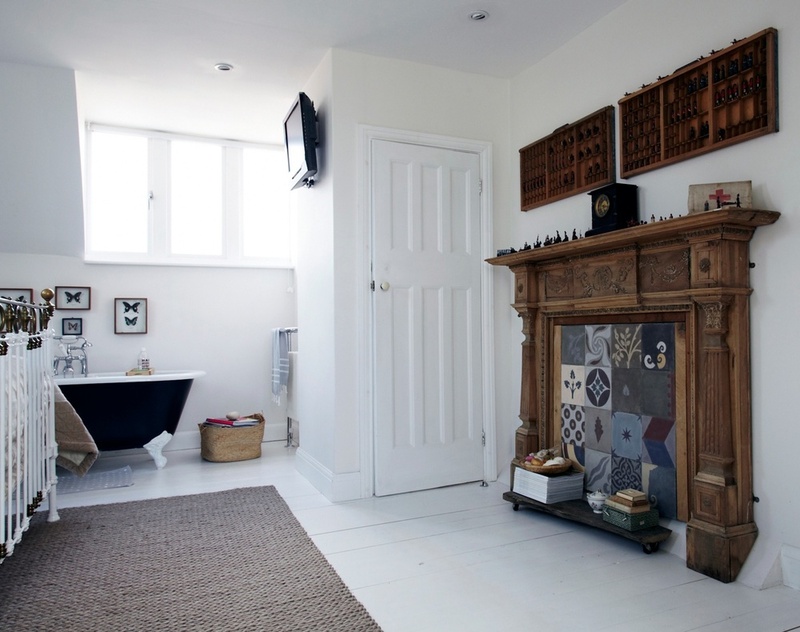 The rest of the home is very eclectic but again has some creative ideas going. The globes on the dresser in the living room make such a fun collection and what room isn't more festive with flags strung across it? 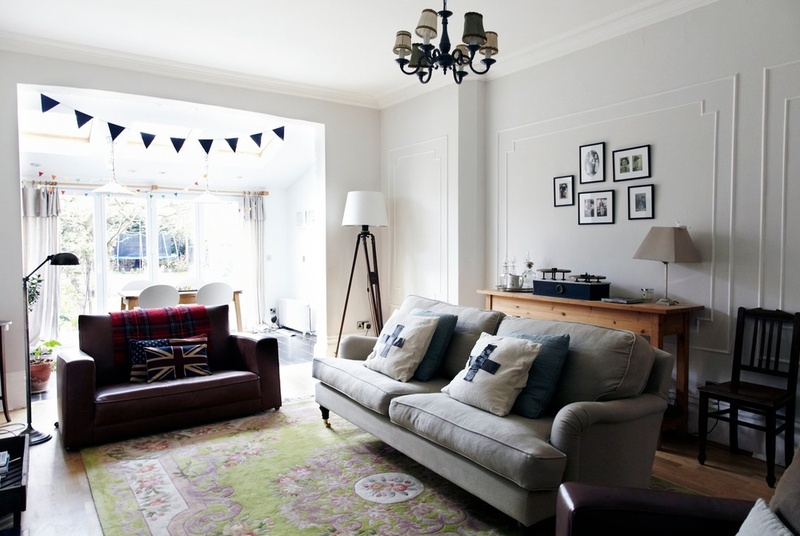 I love homes that are naturally and instinctively put together...makes it feel really homey and easy going.... take a look at a couple of other eclectic homes I have blogged about before..